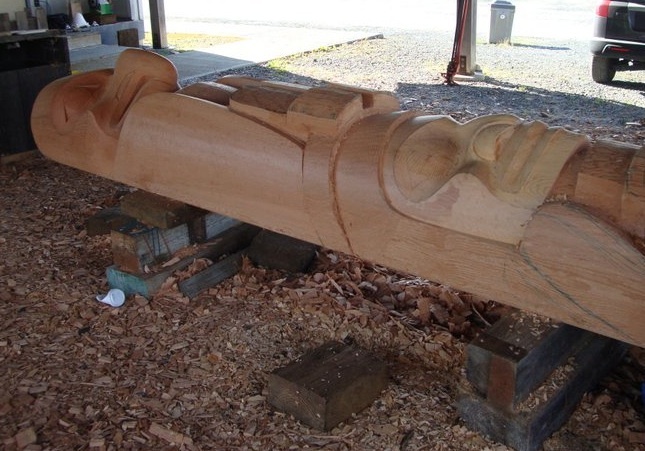 David is spending this summer in his home of Metlakatla, Alaska carving a memorial pole for his grandmother, LaVerne Welcome, who passed away last September at the age of 87. 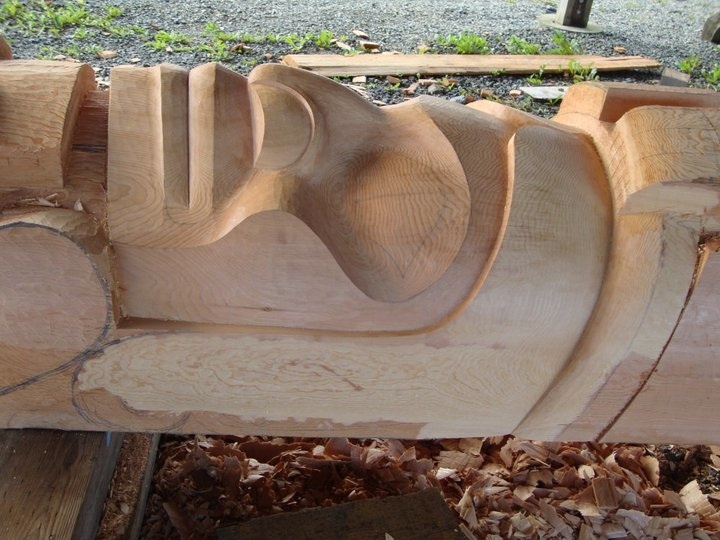 The 15 foot red cedar pole features an Eagle, to represent Laverne’s clan, Laxsgyiik (Eagle Clan), as well as a female figure to represent her. 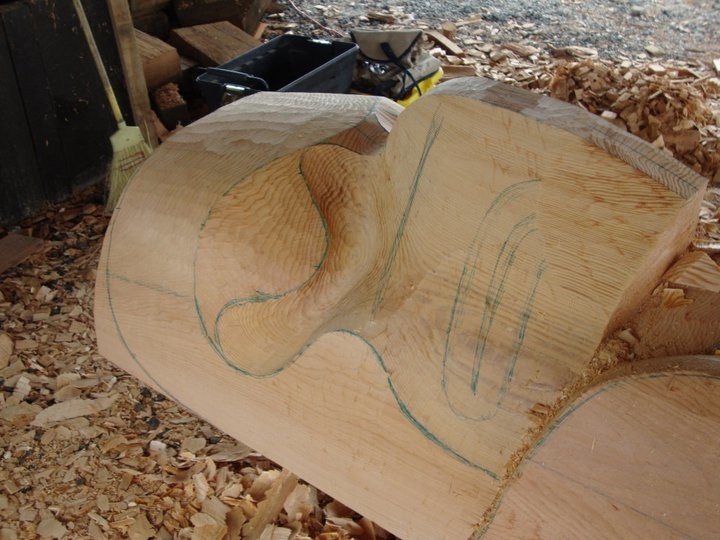 David is carving a basket in the hands of the woman to recall all the treasures LaVerne cared for at the Duncan Cottage Museum in Metlakatla, where she was the first curator and the director for 25 years. The pole is to be raised on September 24, 2011 as part of the memorial potlatch for LaVerne hosted by David and his father, David Albert Boxley. 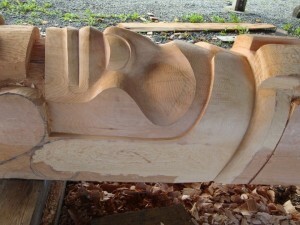 Here’s a sneak peek at David’s progress on the pole. For more images, visit David’s Facebook page.